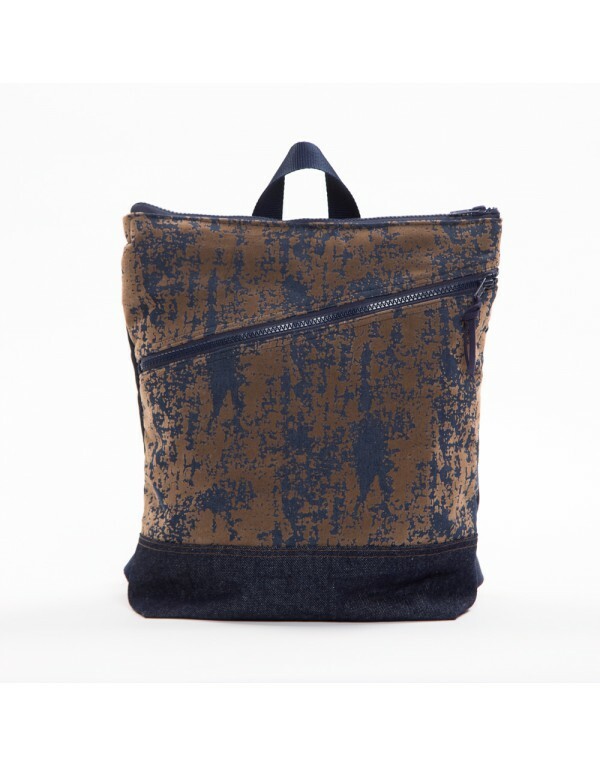 Brown suede backpack with large pocket in front. Brown backpack with large front pocket. 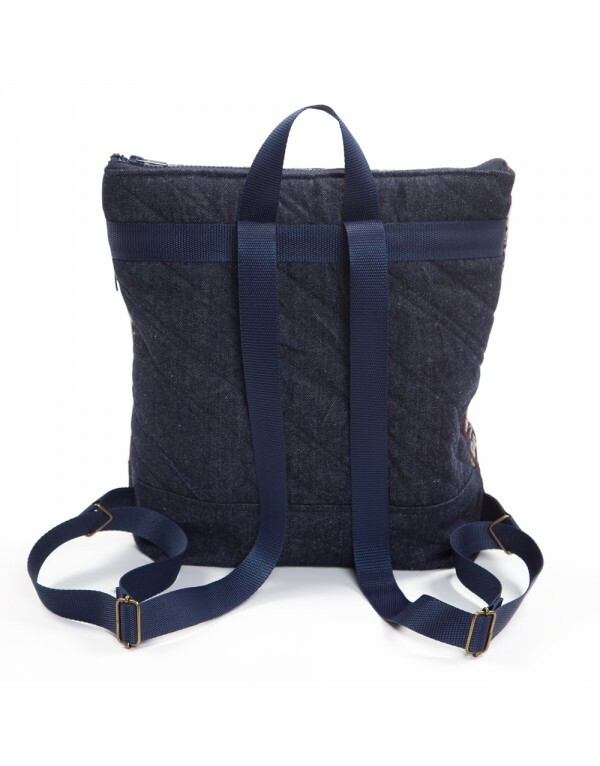 Stylish rucksack for woman with zipper closure. 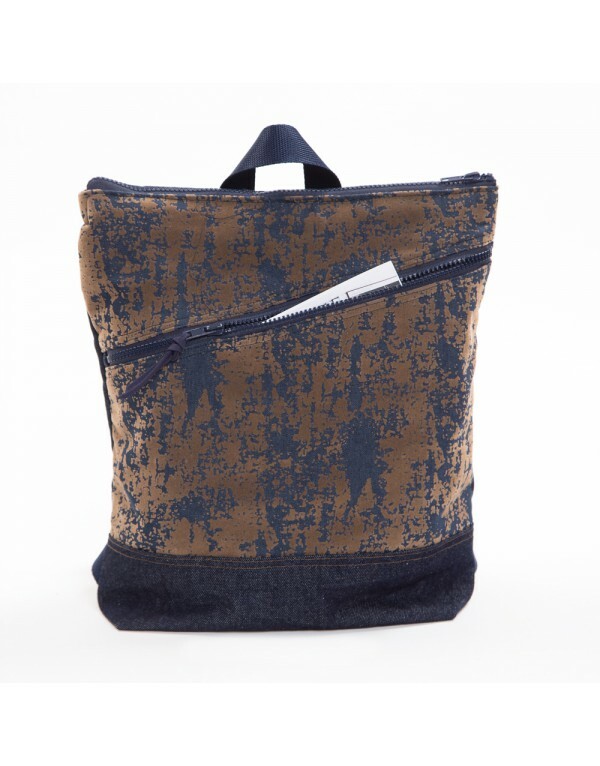 Handmade backpack that combines two fabrics: one in brown faux suede and another in navy blue denim. 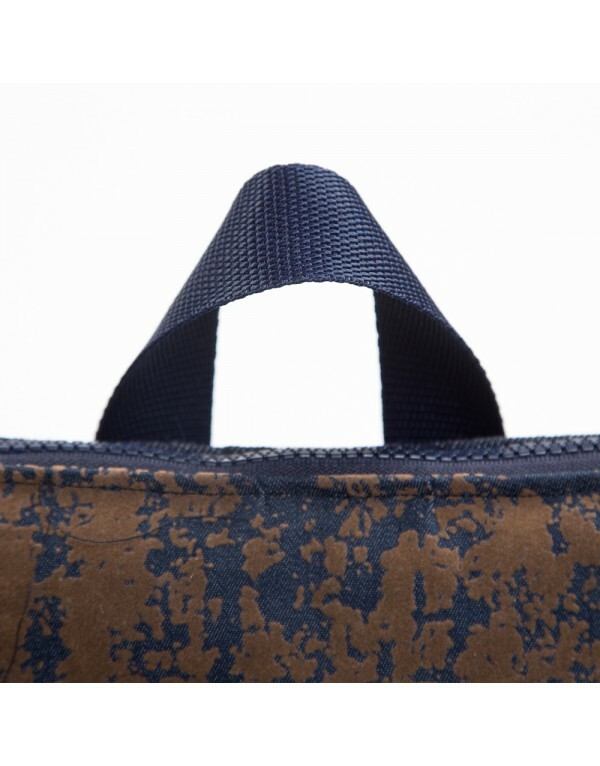 With a simple design this timeless accessory is perfect for your everyday life, for work, travel, School or University. Large and comfortable backpack with enough capacity to carry all your belongings even your laptop. 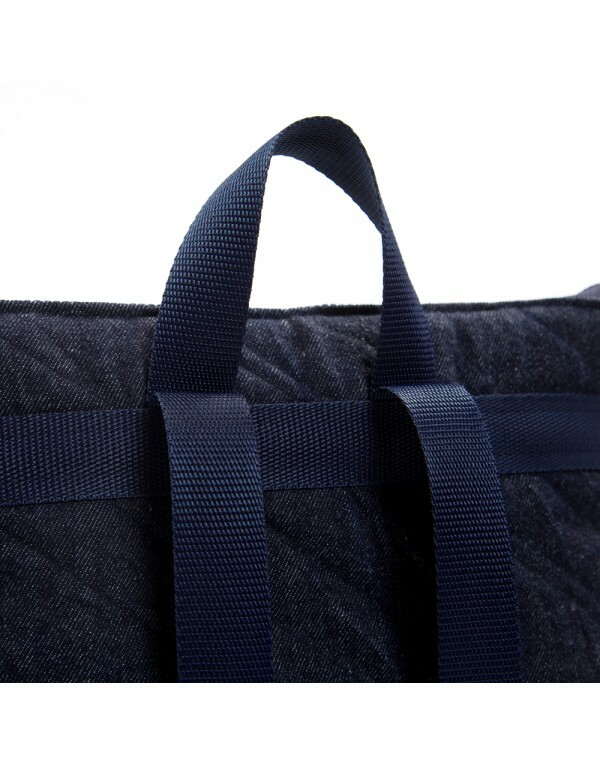 With a handmade padded at the back to keep it rigid, with wide resistant handles (1,2in / 3cm) that fit perfectly to your shoulders and can be adjusted. 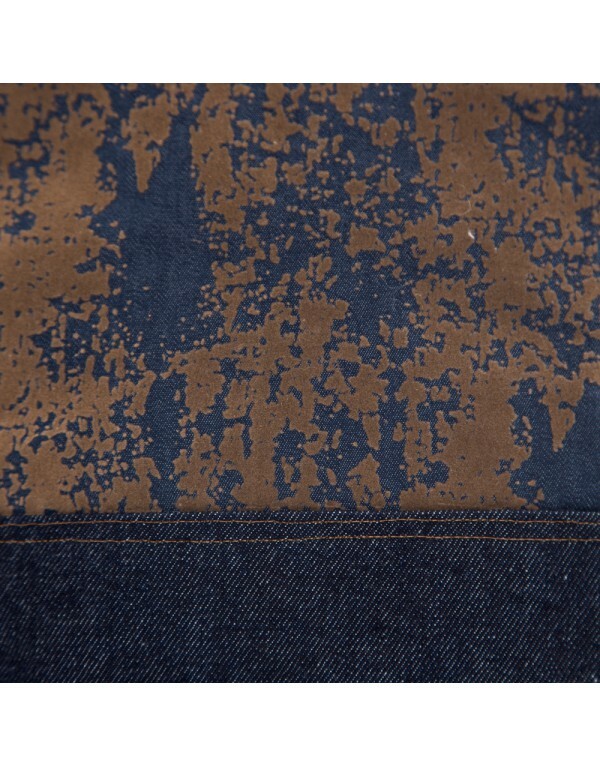 One large zipper front pocket. 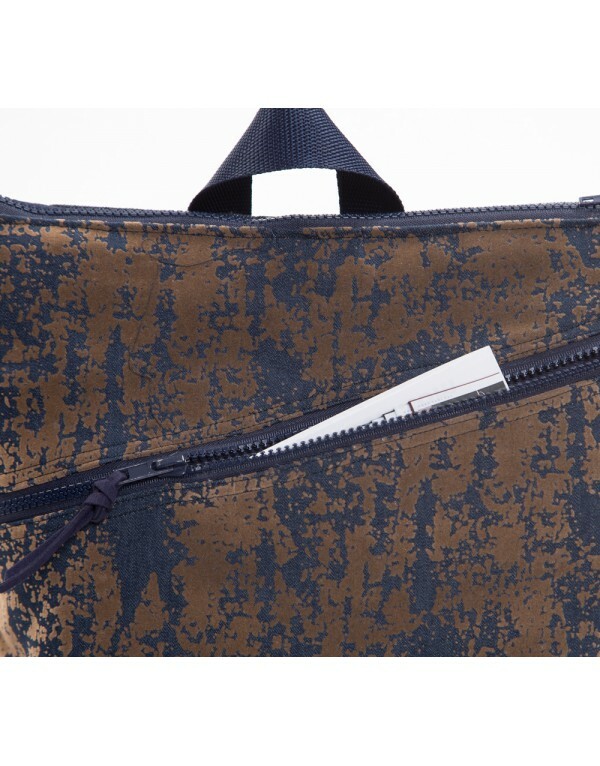 Lined with dark blue fabric, with multiple interior pockets on both sides: two pockets to one side one of them with zipper and another large pocket to the other side. 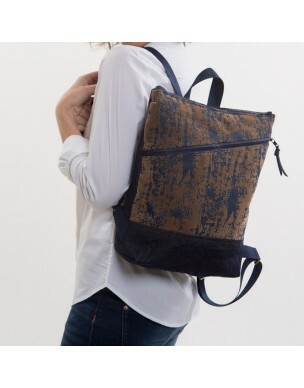 The simplicity of this backpack with the uniqueness of its fabric combination make this shoulder bag the ideal complement that fits all styles.